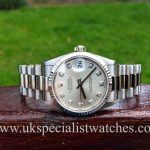 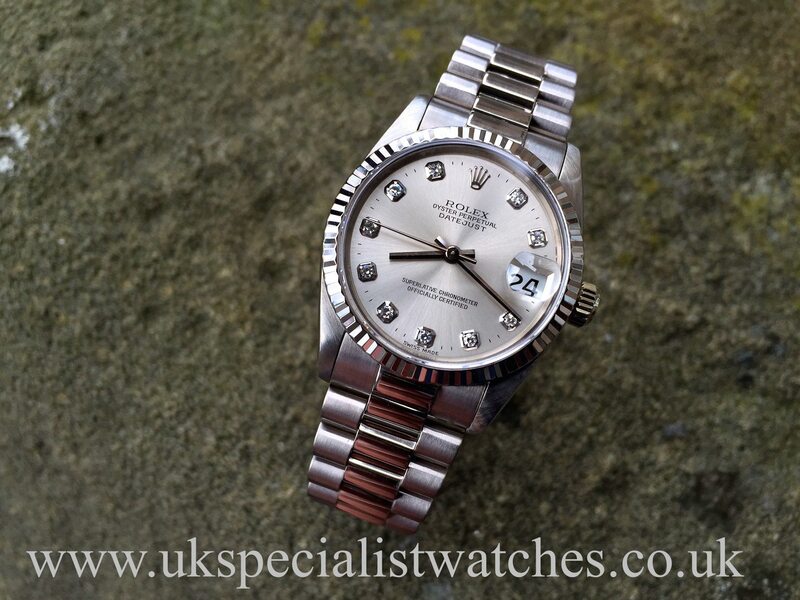 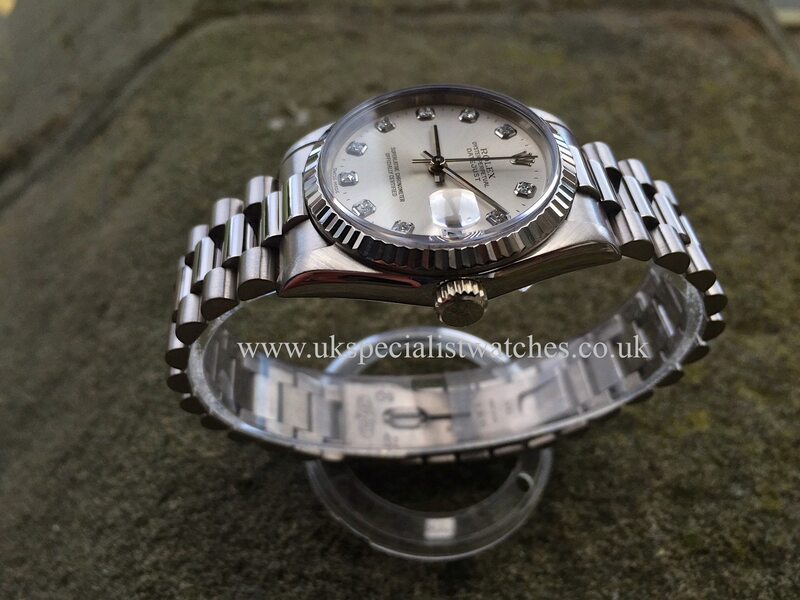 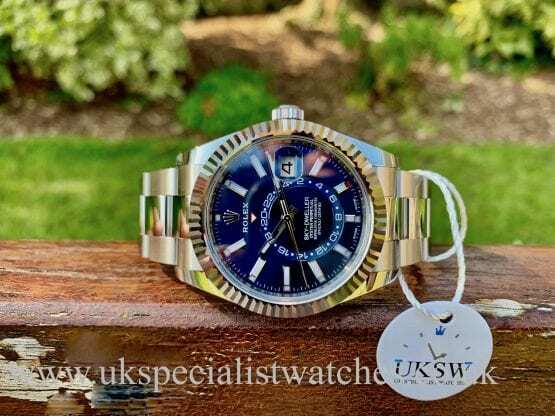 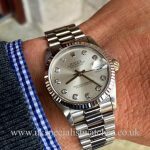 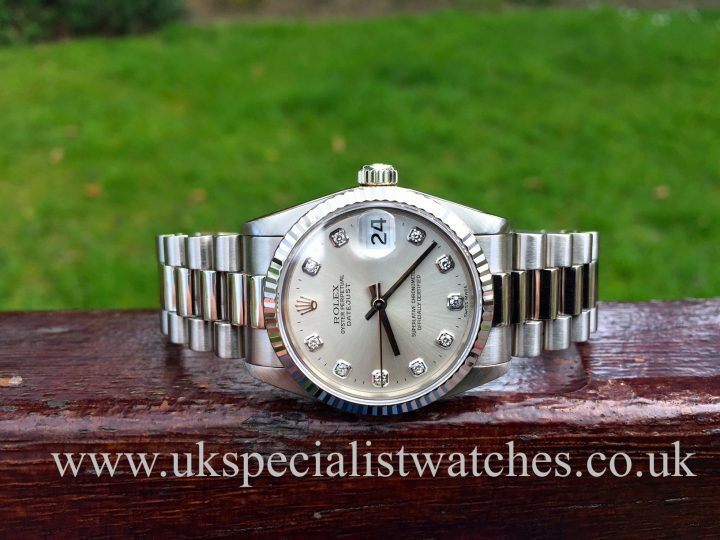 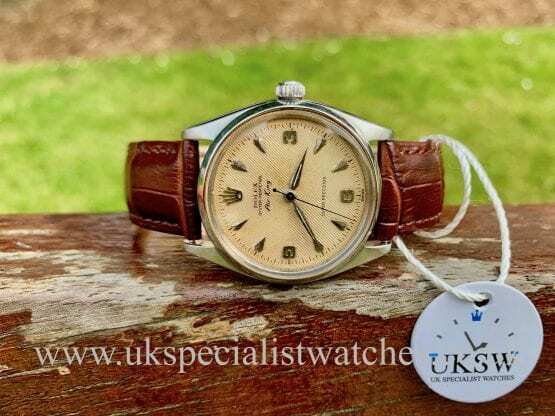 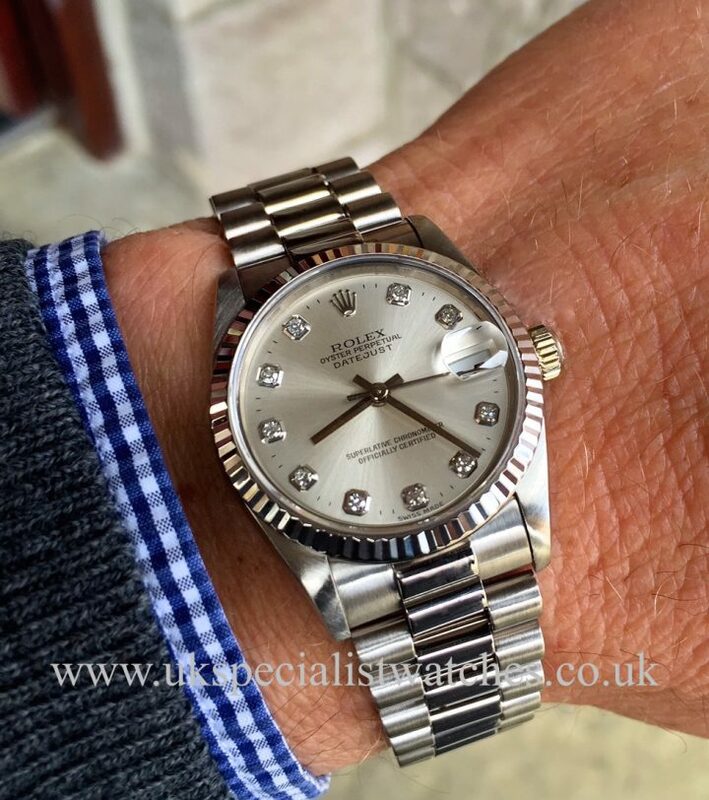 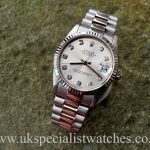 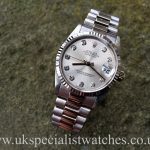 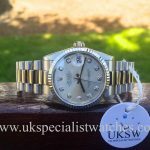 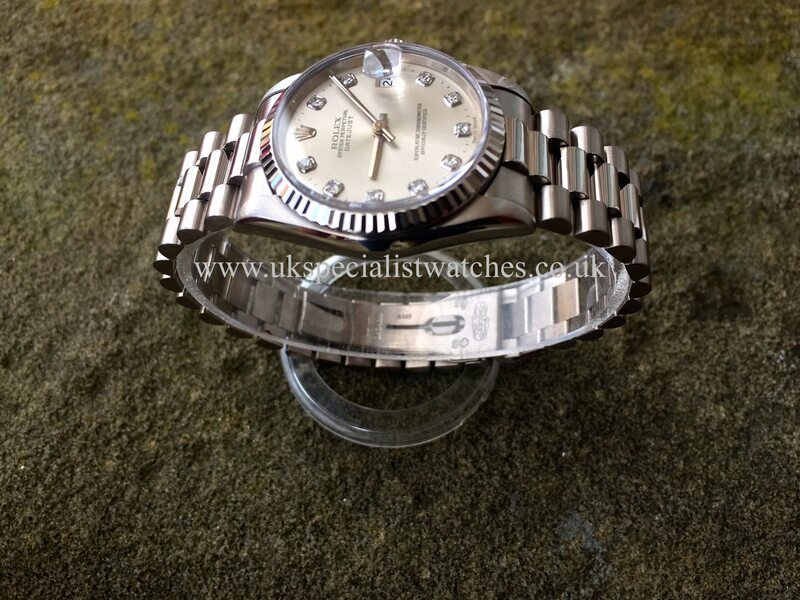 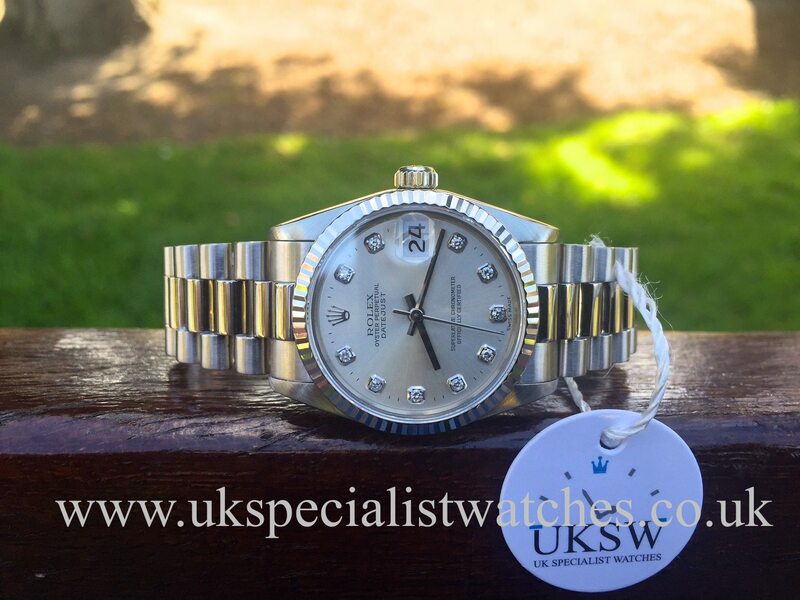 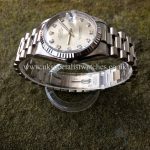 This 18ct white Gold midsize Rolex President is one of the more rarer pieces from the president range with the very popular 31mm 18ct white gold case, factory silver diamond dial. 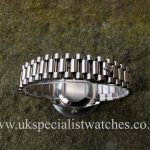 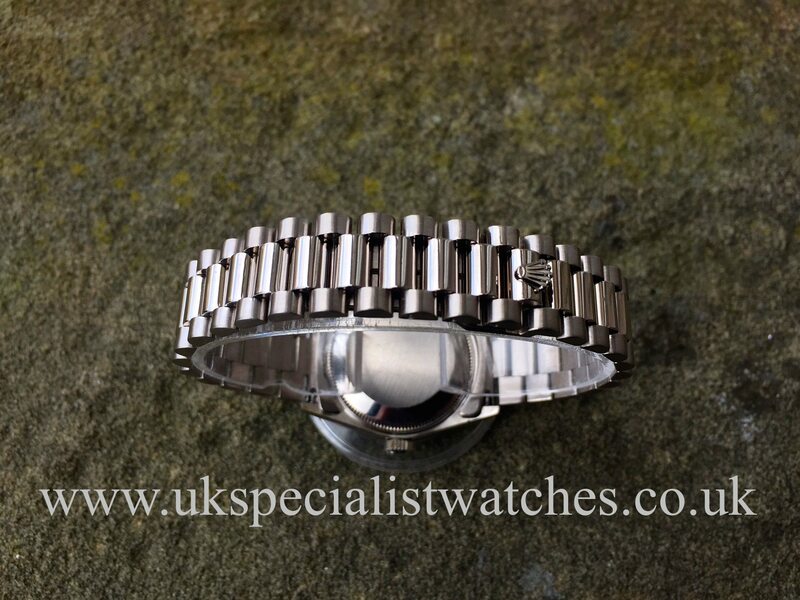 18ct Solid white Gold fluted bezel fitted with a white gold president bracelet with concealed folding clasp. 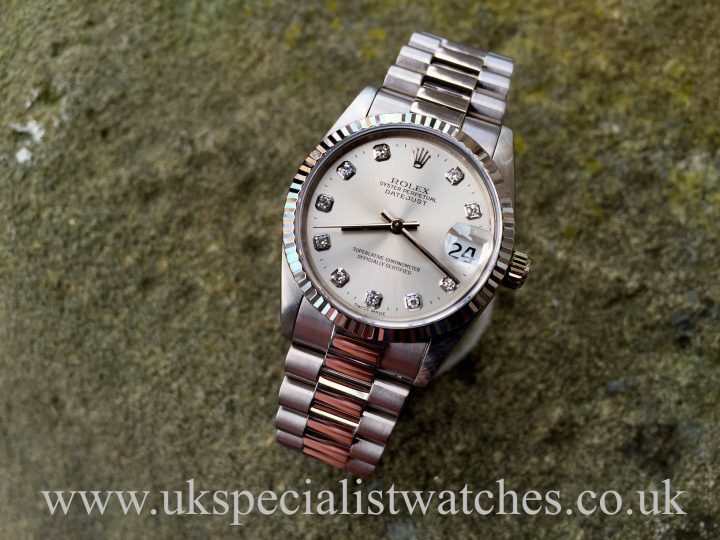 Powered by an automatic movement. 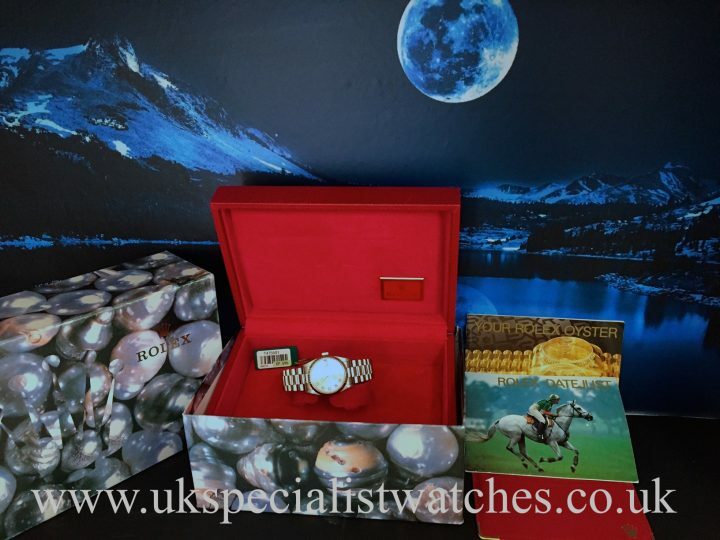 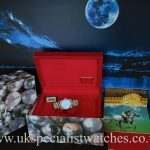 Supplied new in 1996 and comes complete with boxes booklets red leather wallet, original serial numbered swing tag. 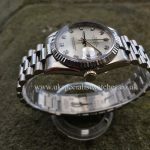 Our example is in absolute stunning condition.